Fill up your sales pipeline and increase revenue with a custom built sales management system. A high performance sales management system (SMS) will drive lead generation, push new customers through your sales pipeline and boost your business’s revenue. Are you looking to increase sales and build stronger client relationships? If so, you’ve come to the right place. 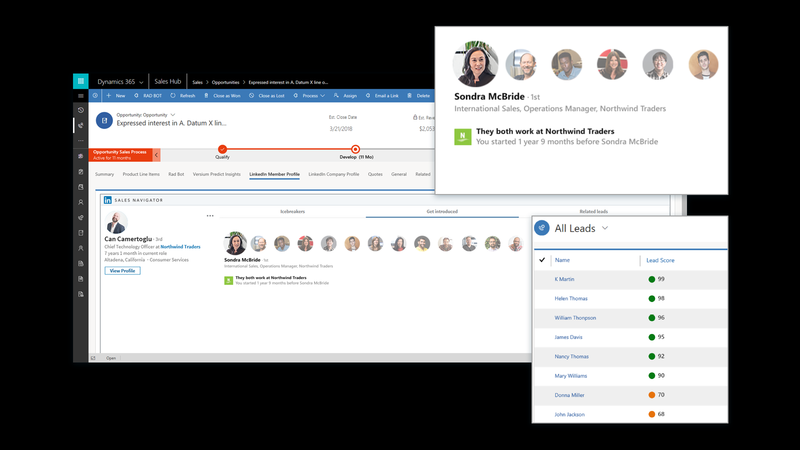 Through integrating the latest innovations such as Microsoft Dynamic 365 with LinkedIn Sales Navigator, we can create a sales management platform that will draw relevant insights and information from the world’s biggest professional database. The result is that you’ll be able to build better online and offline relationships with prospects and customers. Not only will the system we implement for you simplify the process of lead generation and sales funnel management it will also help you segment your customer database and build meaningful, targetted value propositions for the goods and services you provide so that cold prospects turn into paying customers more often. Contact us to start your journey towards sales growth today. Why is automation, consistency and advocacy so important? Because the sales process is evolving. Customers and clients want to do business with businesses that make their lives easy. We can make life easier for them through opening up communication channels, encouraging collaboration and providing them with a consistent service. In return, we are likely to earn their loyalty and custom. Enable sellers to build relationships with the prospects most likely to convert using predictive lead scoring. Align sales and marketing with a shared definition of sales leads. Increase win rates by going deeper into your customer’s organization and building multiple sales relationships. With over 575 million professionals on LinkedIn, your sellers can easily find and connect with decision-makers and influencers. Help your sellers connect to buyers by showing the people in their network and in your organization who can provide a warm introduction. You’ll have a scalable system that ensures everyone consistently operates to your quality standards and has the power to keep your clients happy. Are you ready to fill up your sales funnel? Get in touch with us today and we’ll show you how an SMS can identify your target customers, automate the lead generation proess and provide you with the new business you desire to build your business.